My middle school years were the peak of the boy band phase. And I'm talking about more than just the standouts like *NSYNC and Backstreet Boys. There were other great groups, like Dream Street. Do you remember Dream Street? If not, please take a moment to Google their song "It Happens Every Time" and it'll immediately bring you back to the lovely days of the early 2000s. While the band fell apart, one member stood out and had a pretty decent career. I'm talking about Jesse McCartney and his "Beautiful Soul." That song will forever be my jam. 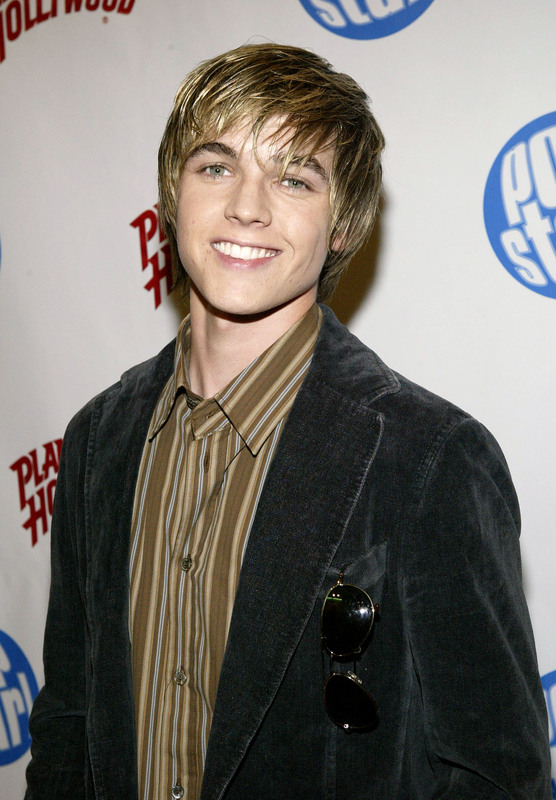 But I can't help but wonder: What is Jesse McCartney up to now? Fear not. I decided to do some research to find out what the former boy-bander has been doing lately. While he's no longer a teenager with a bowl cut, the 28-year-old is still doing really well for himself. He's racked up quite a few acting roles. Back in 2004, he played a surfer on The WB (you know, The CW's old name) show Summerland , along with Lori Loughlin (aka Aunt Becky from Full House). After that, he voiced Theodore in a slew of Alvin and the Chipmunks animated movies. Alvin and the Chipmunks: The Road Chip hits theaters in December, so you can catch him in that. Most recently, McCartney has starred on the ABC Family series Young & Hungry — which is actually fantastic, if you haven't seen it yet. He plays Emily Osment's love interest, Cooper. He wore glasses and played a geeky guy, but he was just as lovable as in his early career days. In a recent interview with Flaunt magazine, he talked about how he's still working on his music career, which means this isn't the last we'll see of him — thank goodness! For nostalgia's sake, let's take a trip down a McCartney-themed memory lane. Here's a young McCartney doing his thing down on Dream Street. This song is still one of my guilty pleasures. Remember this song? A somewhat surprising pair, but they make good music together. It's so great to see McCartney back on TV. His role in Young & Hungry was perfect! Nowadays, McCartney is still doing what he's always done. Plus, he's apparently friends with Zendaya, which is awesome. Clearly, he knows how to pick good company. And his wardrobe is as amazing as ever. Do you see that flamingo jacket? He's come a long way since his Dream Street days, huh? I'll always have a special place in my heart for McCartney and his beautiful soul.